Great on Interior / Exterior. 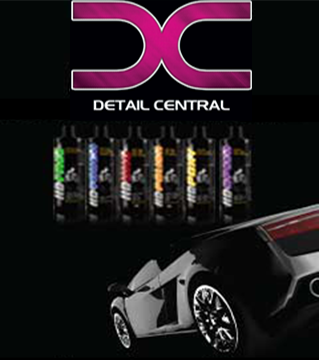 HD TOTAL is an extremely versatile, yet effective all purpose cleaner that can be safely used on virtually any automotive surface. Special European Super Cleaning Polymers allow HD TOTAL to be diluted to the desired level to cater not only to the extreme cleaning power needed of a greasy engine compartment, but also to the most gentlest manner for delicate leather surfaces. HD TOTAL will not irritate your skin or cause any respiratory distress either. Contains no caustic alkaline components meaning no caulk or white residue after use. On heavier tasks such as wheels, tyres & engine compartments, allow HD TOTAL to dwell for 1-2 minutes, lightly agitate with your choice of brush, towel or sponge and easily rinse clean. Test colour fastness on an inconspicuous area prior to use. Do not use on Aniline leather or suede. HD Total is awesome on interiors, tyres, rims and engines etc. The one goto product that cleans so well makes cleaning easy and value for money. Very impressed with the cleaning power of HD Total saves money by having multiple uses inside and out and does what it says it will. The HD range is one of the best I have found. Detail Smarter not Harder!